I am driven by passion and my belief. Sometimes, an idea forms and you pursue it without much regard for logic. This was very much one of those occasion. 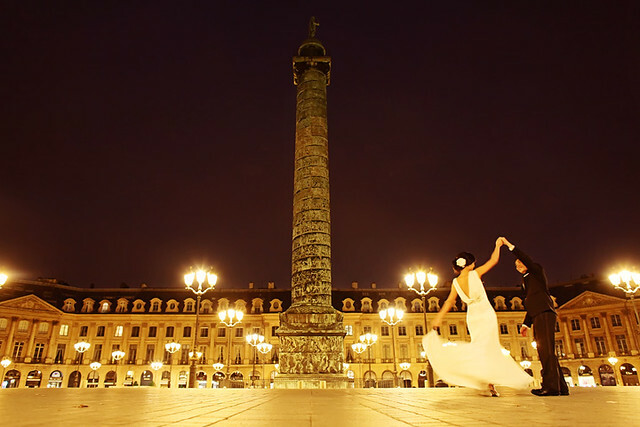 For this shot, makeup started at 230am and we set off at 4am in the morning for our shoot in Paris. Did I just hear you mutter “crazy”? No worries… it was crazy, even in our own standards. Best bit about situations like this tho is that it is a unique and new experience for us all. Hence, dear Shi Yong and Jasmine, and even Alwin and Sam (my fellow photographers) decided to come along for the ride. Honestly, we doubt many or any photography houses would want to come out at 4am in the morning for their shoots (and perhaps rightly so! Ha! More about that later). 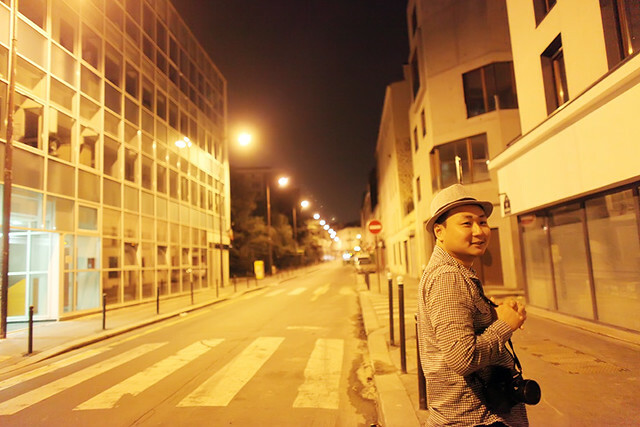 Personally, I was drawn to the idea that Paris in the wee hours would be so still and being a city of light, it would probably look gorgeously bathed in light without the usual pedestal tourists around and frantic taxis zipping by. 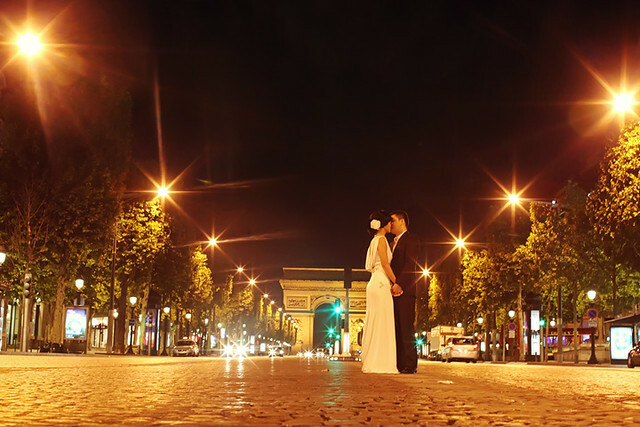 We started off at Champ Elysee, where this image was shot. When we first arrived, we were pleasantly surprised that we were pretty awake and kicking ( even without coffee). However, the Arc D’ Triomphe, had it’s lights switched off! That was the same situation with Pont Alexandre, the Eiffel Tower and the Notre Dame. So much for seeing the city bathed in light. Ha… =) Still, the streets were almost bare of people and vehicles. We also got to see the sunrise. I am not gonna give up tho… next time round, I will probably try an earlier time, say 1am? ~ by Kelvin on September 8, 2010.
very good stuff… love it.